Want the training to be just for you? 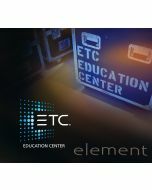 Have an ETC console-training specialist come to you to train your staff in the comfort of your own venue. 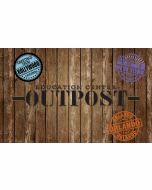 You can purchase an on-site ETC training class that caters to your schedule and training needs. Your purchase covers a comprehensive training session, travel costs and other expenses for the ETC console trainer, and all associated materials. Need more time? If you have a large number of console users or personnel with multiple skill levels, ETC offers longer trainings to make sure everything gets covered. You can plan for multiple days of training at a time with an ETC console expert. Provides the basics needed to get started with your console. Topics covered include: console features, conventional fixture patching, record and play-back of looks, show file management, and effects creation. Perfect for new console users, or those who are new to the Eos Console Family. Builds on the Level 1 program. Topics covered include programming moving lights and other multi-parameter devices, palettes, and presets, multiple cue lists, and advanced effects topics. Perfect for users who have mastered Level 1 concepts and are comfortable using the console. Reserved for customers who have mastered training Levels 1 and 2. This is a custom training session that can include: large networked systems, multi-console setups, custom fixtures, virtual media server/pixel mapping, large show control topics. Designed for users who have mastered Level 1 and 2 concepts and are a professional console programmer in a dynamic environment. *Due to the Element's output restrictions, the Level 3 course is not offered on an Element console. Located near California or Oregon? We have several ETC-trained Eos Family trainers on staff and can provide personalized console training for multiple users covering Level 1 and Level 2 topics. 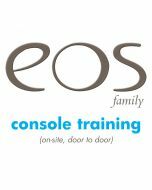 Send us an email or call us for details about our Eos Family training classes. You tell us! Training is customized to fit your needs.